Leading chain of hypermarket stores, SPAR, in this spirit of the global football festive season, has introduced its football challenge. Called the SPAR Football Challenge, the innovative platform is aimed at engaging its shoppers, their families and friends. SPAR Football challenge is a unique platform around basic skills of football and gives a nice opportunity to Children and Grown Up as well to showcase their skills and have lots of fun at the same time. The participant plays Football activities such as Penalty Shootout, Free Kick with Wall, Shoot Backward, Save the Goal, Shoot through the Mark, Dribble through Hurdles & Shoot, Juggling with Hurdles and Keep the Ball On-Air to test themselves and win prizes. The challenges games were played on a nice setup laid out on a green turf in the store car park area of the outlets of the stores. SPAR Football Challenge will be held on weekend across 6 SPAR stores located at Ilupeju, Lekki, Tejuosho, Port Harcourt Mall, Calabar Mall, Enugu Mal and Abuja Ceddi Plaza Mall and the events will run simultaneously from June 15th to July 8th 2018. In SPAR Football Challenge, people can participate in a variety of ways. One interesting category is School Vs School Challenge, where a team of eight from a school competes with another school. 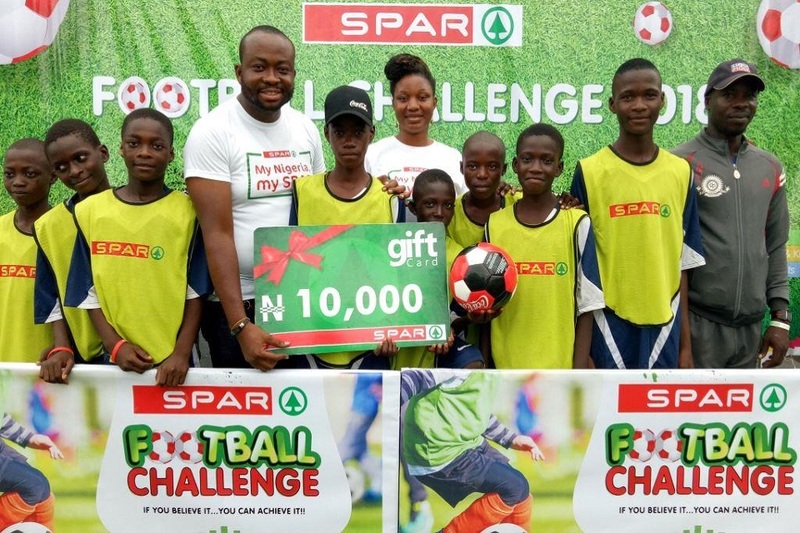 In the first weekend of SPAR Football challenge which was held in SPAR Ilupeju, 30 different teams of boys and girls participated from over 13 schools to compete against each other. Every team gets a prize. Each member of the Winning Team was given Footballs, Water Bottle and Wristband along with a food pack. Various schools sent all girls team, all boys team and mix teams within the 8 – 15 years age bracket. Another interesting challenge in the game is the Parent & Kid vs Parent & Kid is another interesting challenge where the parent teams up with their children and challenges another pair of Parent & Kid. The first weekend witness a variety of Parent and Kid teams like Mother and Daughter, Mother and Son, Father and Daughter & Father and Son participating. The challenge games were also open for Individual Children and Adults to challenge themselves and earn prizes. A generous amount of Prizes and freebies such as Gift Vouchers, Footballs, Jerseys, Face caps, Water bottles, Keyrings and wristlets have been made available to motivate and reward participants. The SPAR Football Challenge will inspire of young and mature sports enthusiasts across host communities who will participate to believe in themselves and challenge themselves to do more. The goal is not necessarily to win as everyone gets a prize but to participate and interact in a fun and peaceful ambience. 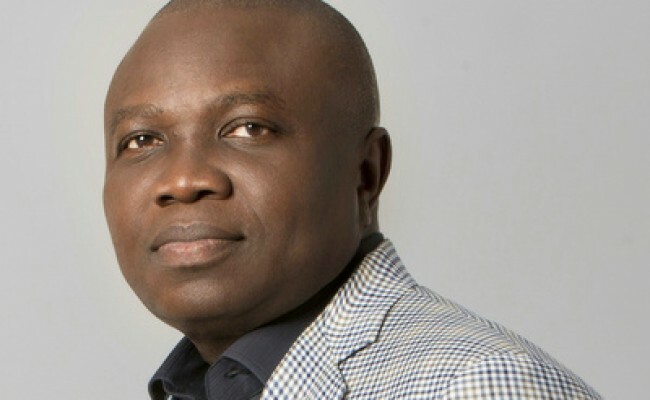 Subsequently, the Challenge will foster healthy friendships and interactions amongst children and adults from diverse ethnicities, thus promoting the one-Nigeria dream via Football.